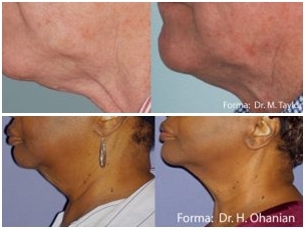 Radiofrequency energy has been used successfully for years to lift firm and tighten the skin. It delivers controlled energy to break up the collagen and stimulate the re synthses, thus improving the strength and firmness of the tissue. Votiva is a new treatment which uses this principle to deliver radiofrequency energy to improve the laxity and strength of the vaginal wall. What is used at Aureumskin? Forma™ delivers a non-invasive method of gentle, controlled heating of the skin using bipolar radiofrequency energy. The target area is the deeper layer of skin called dermis.. This improves the elastin and collagen production of the skin . Forma™ and Fractora also have the added benefit of a built-in temperature feedback safety measure which constantly checks and adjusts the temperature of the treated area.This safety features thus makes sure that the energy is evenly distributed and hence does not overheat the skin. Can this be used in combination with other treatments/procedures? Forma can be used in combination with most other aesthetic treatments and in fact can enhance their effects. In forma treatment the surface of the skin is not brokenso the treatment is virtually painless .No anaesthetic is required. I have darker skin. Can I have forma treatment? 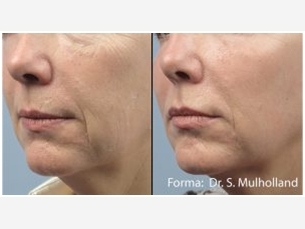 Forma™ uses bipolar radiofrequency which is not affected by the melanin content of the skin unlike lasers. Hence it can be safely used on all skin types and on tanned skin. How does the skin look afterwards? The treated skin often looks slightly pink afterwards, and this reaction should settle within a couple of hours. Makeup can be applied straight away and normal activity typically can be resumed immediately afterwards. The standard recommendation would be weekly sessions for six to eight weeks. Some patients may need more sessions and some may need less. The tightening can take some weeks to be apparent in some patients but may be over a few months in others. 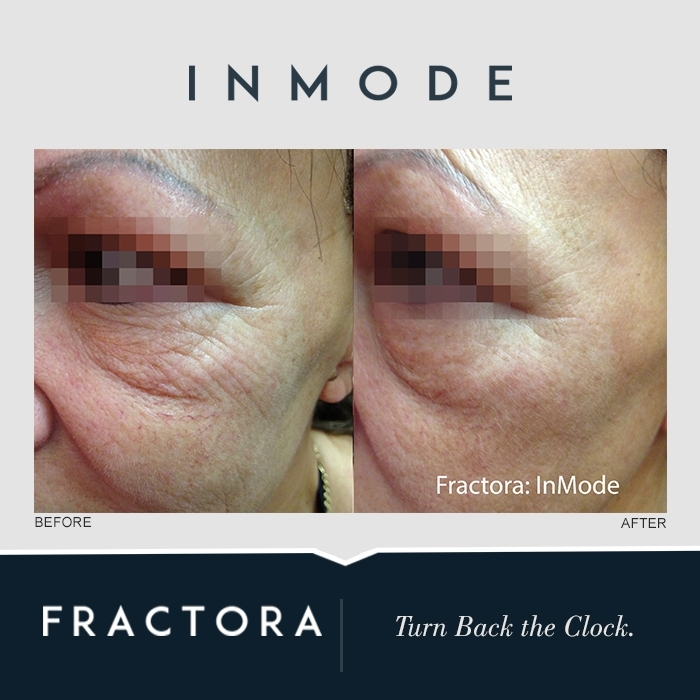 Fractora delivers radiofrequency energy through tiny pinpoint needles slightly deeper but just under the skin .Hence the tightening effect is not restricted to the top layer of the skin, making this treatment more effective .The energy is delivered in a “fractionated” way which scatters the heat evenly and allows the skin to heal with minimum downtime. 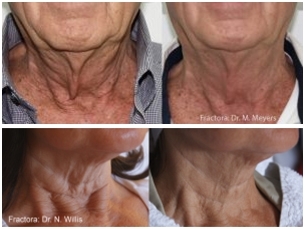 What are the benefits of Fractora Radiofrequency? The radiofrequency under the skin tightens even the deeper layers of the dermis and improves fine lines and wrinkles. It can be used on all parts of the body for tightening and improving wrinkles and is particularly good for tightening the skin of the neck. 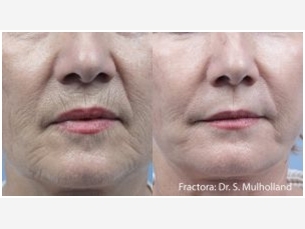 How is the Fractora Microneedling Performed? Numbing cream is applied to the skin for 30-60 minutes before the treatment. 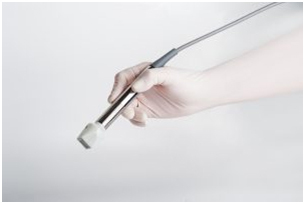 Radiofrequency is delivered through a sterile disposable tip with tiny needles is pressed against the skin. What does the skin look like afterwards? The skin looks pink immediately after treatment. There could be tiny pin-point marks from the needle entry points. These could take 3-7 days to fade. You may be given anti-bacterial / antiseptic creams to be applied to the area for the following 2 days. Can it be used on all skin types? As it is not a laser and does not heat the surface of the skin it can be used on all skin types including very dark skin colours. Q1: Are There Any Side Effects of Using A Botox Injection? Why Should You Opt For Pigmentation Removal treatment In Winter? Skin Tags And Moles: When Should You Worry About Them?